I like to think that when the opportunity arises, I can always talk diabetes. Except that I can’t. I learned this last night at my last water polo game. 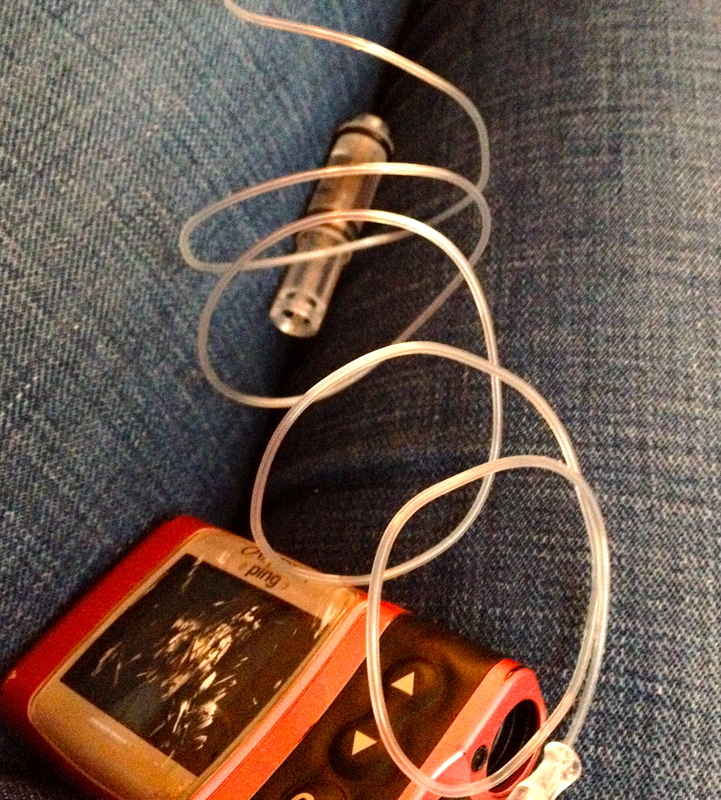 I changed my pump site on Tuesday and put in a new Dexcom, and made sure they would both be covered by my bathing suit. I didn’t want technology fails to ruin my last night. I was wrapping my pump around the hip of my bathing suit when one of my teammates (who wasn’t there last week) asked me, “what is that?” I was getting ready to say insulin pump and potentially why I have it and what it’s for when he said “oh, wow! you are way more responsible than I am.” It was at this moment when I should have said “you have diabetes too?” Instead, I didn’t say a word. I couldn’t believe it. How come when it seems like it’s most important to talk, I just froze? The tubing gets wrapped around my bathing suit about 3-4 times. “I want to wear a bathing suit without random bumps all over the place.” <–sniff. I don't know why this makes me weepy. Just that I love it that you have the choice to be bumpless but you choose the bumps. I admire you! It doesn’t usually bother me, AT ALL. For some reason though, noticing someone with diabetes, but without technology made me want to be not responsible. The funny part is that I always had a pump during my irresponsible diabetes years, so the thoughts going through my head don’t make sense. I am still so impressed that you — both of you — are playing water polo. I know that I should be able to do anything with diabetes that a person without it can do; but when it comes to swimming, I’m never quite comfortable with all my gear. It takes so much planning just to get the sites in the right spot so they are covered (not to mention, my pump isn’t waterproof! ), that often it just doesn’t seem worth it. I really admire you for this. I remember putting on a wetsuit for a triathlon a couple of years ago. I came out of the changing tent and over to my friends who were waiting for the start. One of them pointed and said “Look, I see your pump thing!”. She knows I have diabetes. I thought it was funny, though the competitor in me wanted to swim circles around her. Which I did. Even though we live diabetes 24/7 it can still take us off guard sometimes. It’s okay! And I love you for your random bumps because it means you are doing what is best for you!! I know what you mean about wishing at times that I could let myself not be so responsible. I’m not good at getting the question, “You have diabetes too?” out but I should be better.